at the WFNMB Conference next week. 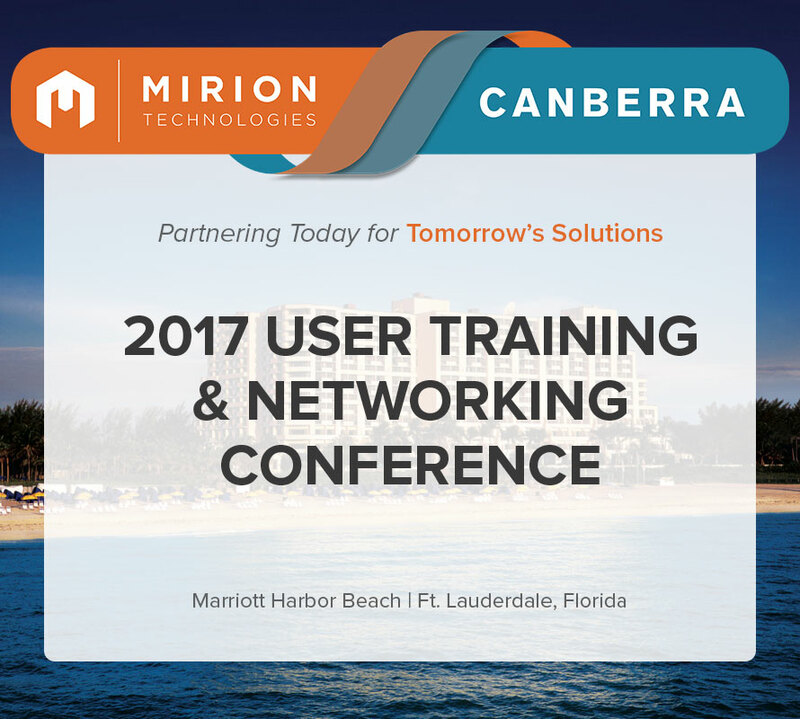 One week to go before the first combined Mirion/Canberra User Conference in Florida. It is the perfect opportunity to enhance Radtronics' skills through hands-on training and breakout sessions in the pleasant and relaxing resort environment of coastal Florida, USA. We look forward to attending! Radtronics was also very pleased to meet a military BDM and product manager from Mirion's newly acquired company, Canberra Industries. Mirion Technologies provided helicopter surveys using the sensitive SPIR Ident Mobile detection and identifier. We flew with the Italian Fire Scientific Officers. Radtronics exhibited a broad range of new instrumentation to the ARPS attendees. Radtronic's Phil Allanson presented alongside Ata Bhatti from Safe Radiation the results of recent experiments. July, 2016 - Mirion Technologies' announce the Canberra aquisition 'a natural partnership'. Radtronics proudly exhibited at the 46th Scientific Meeting of the ANZSNM held in Rotorua from the 22 – 25 April 2016. We were thankful to be joined by Mirion's Gerard Ruaro to showcase some of the best quality instruments popular in research and nuclear medicine. An opportunity to meet the team, learn new products and techniques, and make new friends. The 25th year anniversay celebration made the seminars an auspicious occasion and thank the US team for making Radtronics' Australian team welcome.